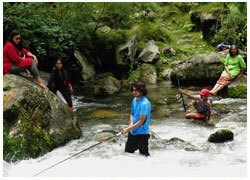 Himachal Pradesh, with its rivrs and their numerous tributaries, is an angler's paradise, Katla, rohu, Trout and mahaseer aer the major game fish. 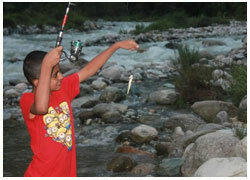 Trout and salmon an the river Beas and its tributaries, Tirthan , Parwati and Gadsa in Kullu, Lambadag in Mandi and Pabbar in Shimla. 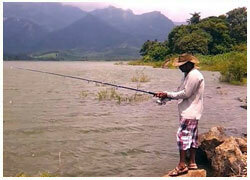 Mahseer fish is found in the Kangra district at Dehra, Gopipur and the Pong Dam. 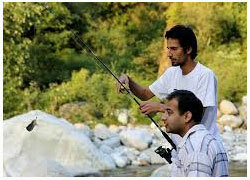 Trout is found in Pabbar river in the Shimla district, Baspa river in Sangla valley and river Sainj in Kullu valley. 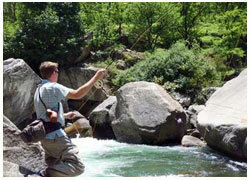 Angling in Himachal Pradesh is a great experience. 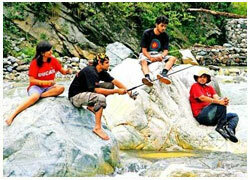 Himachal has a few spots for trout, catfish, & mahseer and also other cold water fish. 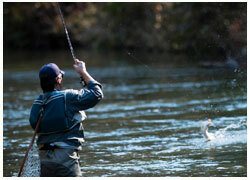 Both brown & rainbow trout are to found in Himachal’s rivers. 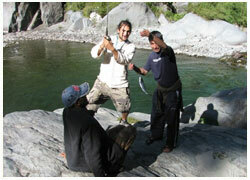 In the Pabbar valley, upriver of Rohru, there are a few decent spots for angling. Therefore, In this valley, Chirgaon has the trout incubation center, and different places where lines might throw are Seema, Mandil, Sandasu, Tikri, and Dhamvari. All are inside five km to 26 km of Rohru. 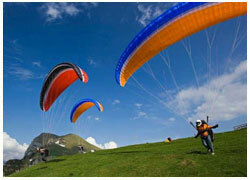 A significant settlement including Himachal Tourism’s Hotel Chanshal is accessible at Rohru. 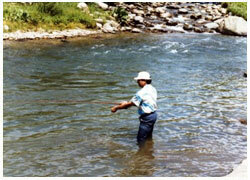 In Kinnaur, the stream Baspa in the Sangla valley also holds trout fishes. And this was the place the main trout ranch in the State set up in the 1920s. Trout fish also possesses significant amounts of the Uhi waterway close Barot over the residential community of Jogindernagar. High spots on this time are Luhandi, the Puran place facility, Tikkar, & Kamand. The upper ranges of the waterway Beas in the Kullu valley and its side river like the Sarvari, Sainj, Parbati, Hurla, & Tirthan. Particularly, the ranges around Patlikuhl, Aut, Raison, Katrain, and Larji are phenomenal for the game. 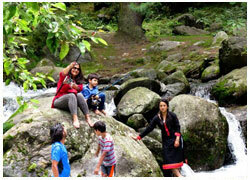 These spots are all upriver of the Pandoh Reservoir and are near, or by the Mandi-Manali highway. 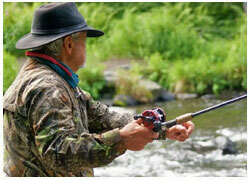 The angling devotees can get an excellent opportunity to get different sorts of fishes. 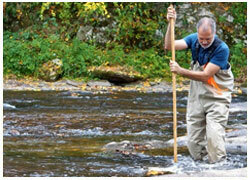 Like Brown Trout, Barilus sp, catfish, Catla, Golden Masheer, Mrigal Nemacheilus sp, Rohu, and Schizothoracids. The Water of Himachal Pradesh is so clear that one can easily see the sea bed and meadows. Sparkling water, clear sky and fishes moving with the flow of water, this completely sounds like a perfect Alaskan fishing experience. 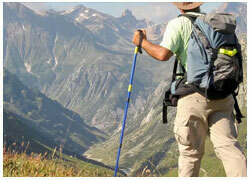 Shimla Manali in Himachal Pradesh is the paradise for all the fishers in India. 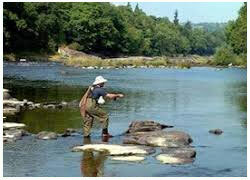 Unlike other places, Shimla is popular for its Brown and Rainbow trout, finest sport fishes in the world which can be only found in Himachal Pradesh.